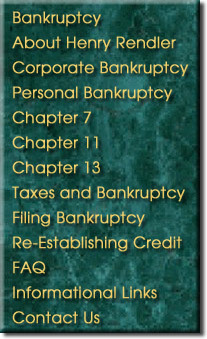 Corporate Bankruptcy is the filing of Chapter 7 or Chapter 11 by corporations and partnerships . On the filing of a Chapter 7 petition, the court appoints a trustee. The trustee's primary duty is to sell the assetsof the bankruptcy estate, and then make distributions to creditors. The trustee's commissions and other administrative expenses are paid first, followed by payment of priority debts (often taxes), and then to general unsecured creditors on a pro rata basis. In most Chapter 7 cases, the debtor's business operations either had already ceased as of the filing, or stop once the case is filed. In some cases, to preserve an entity's "going concern" value, the court permits the trustee to operate the business. In Chapter 11, on the other hand, the business typically remains in operation, with the debtor retaining control as a debtor in possession. The debtor in possession is given the same rights and duties as a trustee. The goal of the Chapter 11 is to reorganize or liquidate its assets through a court-approved plan, approved by its creditors. Preferences - or payments made by the debtor to a creditor on a past-due bill within 90 daysimmediately prior to the bankruptcy filing, and which gavethat creditor more than he would have otherwise received in the bankruptcy case. This "reach-back" period is extended to one year if the creditor was a relative of the debtor, or had an "insider" relationship with the debtor. 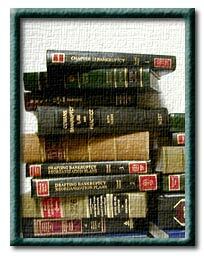 Preference law is designed to provide equal treatment to creditors. The law also provides for certain defenses to preferences. Fraudulent Transfers - or transfers of money or property by the debtor within one year before the filing made with the intent to hinder, delay and defraud creditors, or for which the debtor did not receive fair value, made at a time when the debtor was insolvent (debts exceeded assets) or which resulted in the debtor becoming insolvent. Strong-arm Powers - which allow a trustee to utilize the available laws of the state where the filing was made. The trustee can often cancel security interests if not perfected under state law, or have the benefit of a longer "reach-back" period to set aside a fraudulent transfer. For more information concerning corporate bankruptcy or other related legal matters in the State of California, Attorney Henry Rendler is available for consultation. To set up an appointment, please feel free to call 408.293.5112.